Blue Print First Exam STd 9 And Std 11 Gujarat Date 16-8-2018 Paripatra. Gujarat Secondary And Higher secondary Education Board New latest paripatra. Blue Print of Std 9 And Std 11 Science First Exam Detail in This gr. Prashan Patra Parirup babat Paripatra. In this gr Included First exam Std 9 and std 11 science Sample of exam paper 2018. Read carefully gr because of more info. 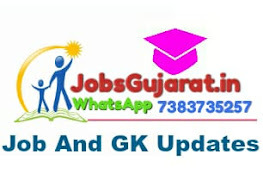 Std 9 and Std 11 (Science Stream) Blue Print, Paper Style and Sample Questions Paper for First Term Exam 2018-19 : Gujarat Secondary and Higher Secondary Education Board, Gandhinagar Published New Blue Print, Paper Style and Sample Questions Paper for Std 9 and Std. 11 (Science Stream). You can View or Download Std 9 and Std 11 (Science Stream) Blue Print, Paper Style and Sample Questions Paper & Other Information in Below Given Links.